Yesterday, StuartCo‘s corporate office welcomed over 50 maintenance professionals from our portfolio to attend the Quarterly Maintenance Training. The topic was learning all about Operational Efficiency. During the summer months, this team knows especially well how important it is that all equipment is running well and that proper maintenance upkeep is being performed. One Call Now was also introduced, including the new protocol for back up and emergency situations. It was well received by all, we heard that lunch was planned to be announced via One Call Now so all were able to see its convenience first hand. 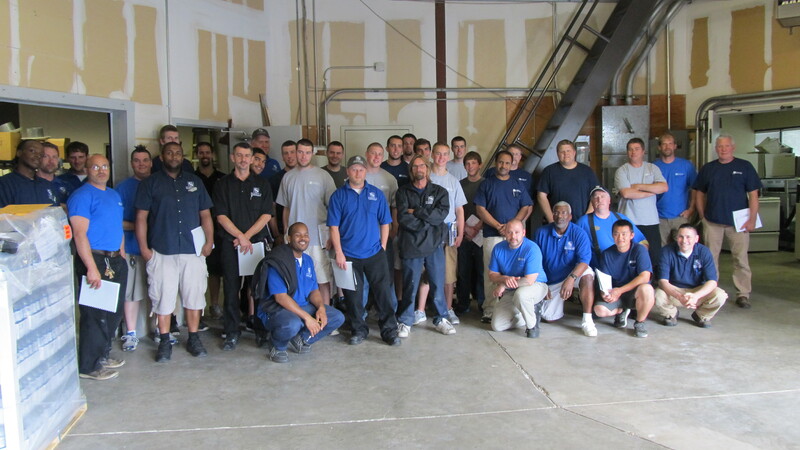 The maintenance professionals in attendance have over 130 years of experience, thank you for your dedication to StuartCo! We look forward to your next visit, we know you’ll receive just as valuable information next quarter!